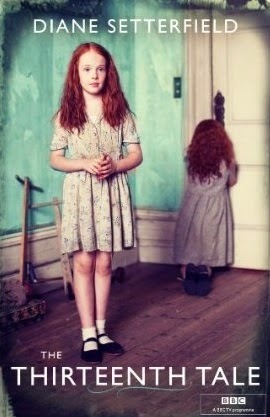 The cover of The Thirteenth Tale by Diane Setterfield is just as elusive and curious as the plot. The book explores loss, identity, psychology and manipulation. It's a story about a pair of twins, two people who are at once the very same and poles apart. It is an analysis of death and tragedy irreversibly altering the lives of those left behind. It's a meta-literary approach to storytelling. Basically, it is one hell of a book. Summary: Our narrator, Margaret Lea, is commissioned to write a biography of ageing writer Miss Vida Winter, possibly the most famous author alive, whose whole identity and life story are a mystery to her readers. Vida Winter shares with Margaret the dark family secrets that she has long kept hidden, from her days at Angelfield, the now burnt-out estate that was her childhood home. Today, Angelfield House stands abandoned and forgotten. It was once the imposing home of the March family - fascinating, manipulative Isabelle, Charlie her brutal and dangerous brother, and the wild, untamed twins, Emmeline and Adeline. Margaret carefully records Miss Winter’s account and finds herself deeply immersed in the troubling story, even as Vida Winter's revelations about her fears bring Margaret dangerously close to the ghosts of her own past. My thoughts: Diane Setterfield has masterfully breathed life into her characters. Sad, tired Margaret, curiously cheerful Aurelius, cynical secretive Miss Winter and the Rebecca-esque characters we never really meet - from Isabelle to Margaret's sister: these are people I'll never forget. Setterfield's writing captures the pain and almost uncontrollable attachment in blood relationships, the unbreakable ties between siblings and the inevitable disappointments that go hand in hand with family. In her 2006 debut novel, Diane Setterfield has effortlessly recreated a Victorian gothic mood and the book reads like a homage to favourite classics, which it references - Jane Eyre, Middlemarch, Wuthering Heights. In its wit, the writing resembles that of Austen and the bleakness is reminiscent of Dickens. All her insight and quips about writing and story, through the exotic voice of Vida Winter, make you question Setterfield's first-timer status. My gripe is not with lovers of the truth but with truth herself. What succor, what consolation is there in truth, compared to a story? What good is truth, at midnight, in the dark, when the wind is roaring like a bear in the chimney? When the lightning strikes shadows on the bedroom wall and the rain taps at the window with its long fingernails? No. When fear and cold make a statue of you in your bed, don’t expect hard-boned and fleshless truth to come running to your aid. What you need are the plump comforts of a story. The soothing, rocking safety of a lie. The book is about the ghosts of memory; about prisons that you build around yourself with lies and half truths, fear, diffidence and secrecy; about the illusion of safety you cling on to, when freedom appears to be too big a loss of control. It's about overcoming these and setting yourself free, and in many ways, despite all the horrors of the lives of Margaret and Vida Winter, the book gives hope. But of course, it's the meticulous detail and the gripping suspense that make this book worth your time. I read it in a day today: after a month of struggling through one supposed thriller, this book grabbed my attention on the first page and didn't let go till the last. It had the very same effect on me as Rebecca by Daphne du Maurier, but the tension here is even more icy, the resolution more surprising. If you like a good bit of guesswork and uncanny twists of plot, The Thirteenth Tale by Diane Setterfield will be a fairly satisfying read. It has put me in the perfect mood, if a little late, for the R.I.P. Challenge. If there's one thing I enjoy about these book blogger challenges it's not knowing which book I'll stumble into next. Any horror, mystery recommendations? I finally completed this book that I've been reading, off and on, since the very beginning of this month. I'd decided to read this as part of the R.I.P. challenge. I do hope I manage to read more books for the challenge, God knows I want to. Summary: Robert Langdon wakes up in a hospital in Italy with no idea how he got there, his memory a blank. All he remembers are nightmarish visions of a silver-haired woman, beak nosed plague masks, people dying in bloody pools of red and a message, Seek and ye shall find. Stitched into his jacket is sealed canister with a label that warns against a 'bio-hazard.' When the hospital is attacked by an unknown assassin, Langdon escapes, assisted by the mysterious young doctor, Sienna Brooks. The mystery only deepens when she informs Robert that he arrived disoriented and repeating the words "very sorry." Meanwhile, on a ship in the middle of nowhere, a powerful secret agent watches a tape that his client, now dead, asked to be broadcast worldwide, the next day. The tape shows an underground cavern and recording of the client quoting Dante's Inferno, warning the viewer of an oncoming plague that would cleanse the world. These are the new Dark Ages. Centuries ago, Europe was in the depths of its own misery—the population huddled, starving, mired in sin and hopelessness. They were as a congested forest, suffocated by deadwood, awaiting God’s lightning strike—the spark that would finally ignite the fire that would rage across the land and clear the deadwood, once again bringing sunshine to the healthy roots. Culling is God’s Natural Order. Ask yourself, What followed the Black Death? It has always been this way. Death is followed by birth. To reach Paradise, man must pass through Inferno. Langdon fails to rid himself of his amnesia, steadily growing more confused as he is chased not only by the assassin but also a team of soldiers. With the help of Sienna, desperate to find some answers, he retraces his steps in Italy to find the secret cavern and stop the promised inferno. What I didn't like: My problem with Dan Brown now is this: four books later, Robert Langdon is painfully unchanged. Down to the silly Mickey Mouse watch. The good thing about writing a thriller series is you get to work on character development without having to worry about the lag in pace that it may cause. But Brown doesn't use his past three books to any advantage. Langdon is still uncannily dumbfounded every time something out of the ordinary happens to him. He is far too trusting for someone who has consistently been caught off guard with secrets and betrayals. What I liked: Other than that, the book was surprisingly non-formulaic. Perhaps it was all the literary intrigue or the lush descriptions of architecture and culture that made this book especially attractive to me, or maybe it was simply the conspicuous lack of religious conspiracies and secret societies. 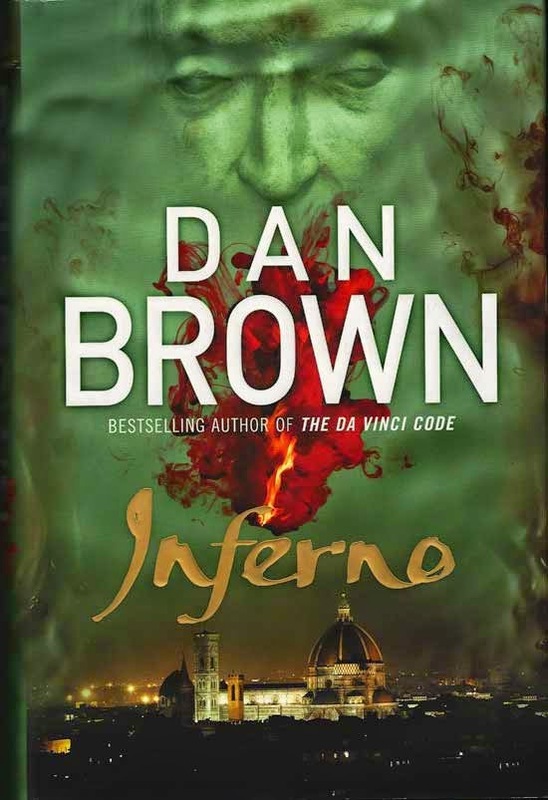 The premise, of course, was unfailingly ridiculous and quintessentially Dan Brown - but the book avoided many of his usual tropes and cop outs. The story started out detailed and slow and gained speed as it progressed, delivering towards the end some genius twists of plot that arranged themselves into a neat resolution. This was an altogether entertaining thriller. I loved Angels and Demons. I don't remember if I finished The Last Symbol, which isn't a very promising sign. Inferno was a few days well spent. But I've had more than enough of Robert Langdon now. I don't see myself reading another Dan Brown, whenever he writes the next. What are your expectations from a mystery series? Any favourites? My favourite is still the Cooper & Fry series by Stephen Booth. But recommendations are always welcome. And what do you make of Dan Brown's writing? The story, August Heat by W.F. Harvey, can be read online here. It stands on a jagged border separating horror from philosophy. Its mood is simple and alluring. This story is better listened to than read. Here is a twelve minute audio version of the story. An artist paints a picture of a man condemned to death, and later comes across that man from his sketch chiselling away at a gravestone with the artist's name on it. Imagine that moment of clarity when an optical illusion begins to make sense, that click in your head when you see the black lamp cuddled between the two white faces. August Heat is about that shift in perspective when a skeptic turns into a believer, a man man accepts his insanity. It is about two men whose fates clash and for whom it becomes impossible to fight destiny. It is only natural that my first read for the R.I.P. Challenge is a short story, considering how awfully full my schedule is these days. But this short story is layered, can be dug deep into and employs masterful literary technique. Listen to it and tell me what you think! I was halfway into a book called The Game by an author I was thrilled to find in my university library: A.S. Byatt, when it suddenly struck me how awfully pretentious the writing was. I realized I was struggling with every line and at one point I just went, "Oh, shut up." Both the female leads were too self involved and it was infested with the silliest plot lines and the lewdest "symbols": basically, it was a yawn. So I stopped reading it. With so little time on my hands, I can't afford to stick to my finish-every-book rule. It was a stupid rule, anyway. What has shocked me is that, in retrospect, all her books, at least her short story collections, sound just like The Game. Possession, I still like. But The Children's Book had similar characters and it is unthinkable now that I loved it. I have also been reading a book on Norse mythology, and I now feel her book Ragnarok: The End of the Gods, a child's perspective on the Norse apocalypse, was almost idiotically overdone. But I suppose it is only natural. Fourteen year old me was an Ayn Rand fanatic, and while I no longer relate to that self, I do love that I went through that obsessive phase in my life. It played a part, certainly, in making me who I am today. 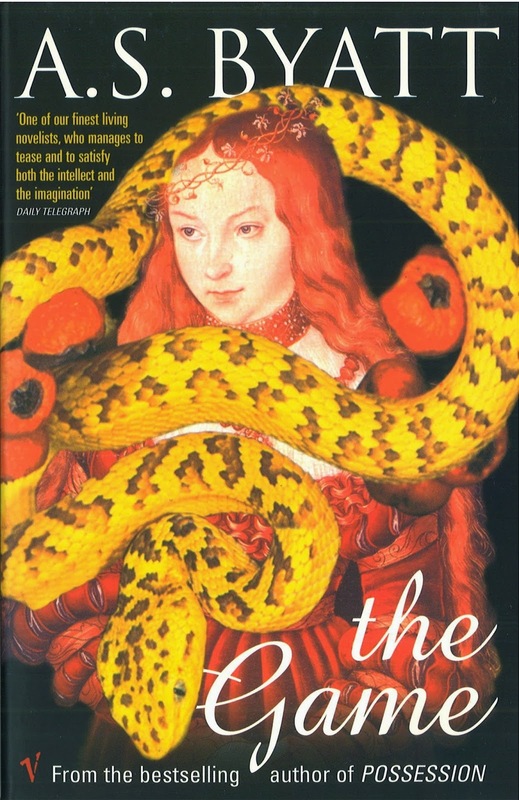 So my point is this: somewhere on this blog, there is a rave review of Ragnarok: The End of the Gods by A.S. Byatt. Is it wrong of me to keep it as it is or do I edit all my reviews with my changing tastes? It's Teachers' Day here in India and my blog is threatening to go into a slump. So here's an impromptu bit about my favourite fictional teacher. A few months ago a bunch of teachers voted Dumbledore their favourite teacher in fiction, and it made me wonder why. We never really knew him as a teacher in the strictest classroom sense. Dumbledore made a great mentor, but I think for a man of his strength, he could have dealt with Riddle better. If I had to choose from the Wizarding world, my vote would be with Remus Lupin. He encouraged every student to participate in class, made his classes interesting, clearly loved his subject and quit when it made sense to. Plus, he believed encounters with Dementors = getting bars of chocolate, and only that is enough to make him the coolest teacher at Hogwarts. The Boggart in the Wardrobe: I hate this movie for cutting out so many great plot lines, but they made this well. Now to the real point of this post: tooting my own horn. Way back in July (or was it even before that?) I finally dared to submit a short story to a couple of online magazines. Drum-roll, please... It was bought by a quarterly ezine called NewMyths.com and, here comes the good part - it is out now! Here's wishing you hop on over to the site and read my story, The Dew Eagle, and the other fiction in their latest issue. I don't know what thrills me more, the fact that my story is out or that it is so beautifully illustrated for the cover. Anyway, I would love some feedback. Till then, would you vote for Dumbledore too? Who is your favourite teacher in fiction?